Your wonderful work can be viewed on any device through your company website provided by DSA. Let's make this fantastic! We are here to help, but we need you to participate. It's true that building your own website can be overwhelming, so we are here to simplify the project and ensure your wonderful website will be a success. We guide you through each and every step to create a perfect website. Not a member? Sign up now and save 70% with Holiday Discount Cyber Tuesday! Connect to social media from your new website. Post your designs on Pinterest with one click! Connect directly to Houzz! The possibilities are endless. Email with any questions and we can arrange a phone call. 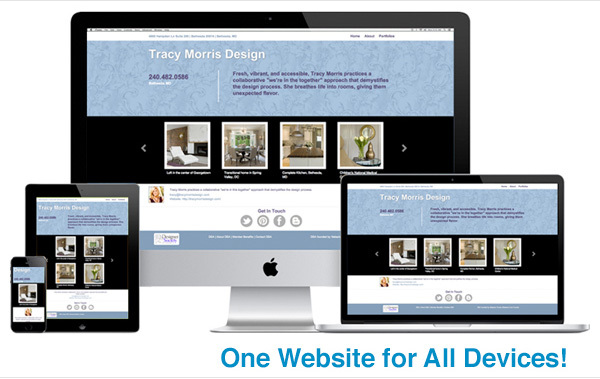 Expand your reach by making your website accessible to mobile phones, social networks and everywhere else on the web. Expand your reach by publishing your website to mobile phones, Facebook, and the web. Edit in one place, and publish everywhere.